When I was searching for a winch the same question that I came up with everyone came up with. 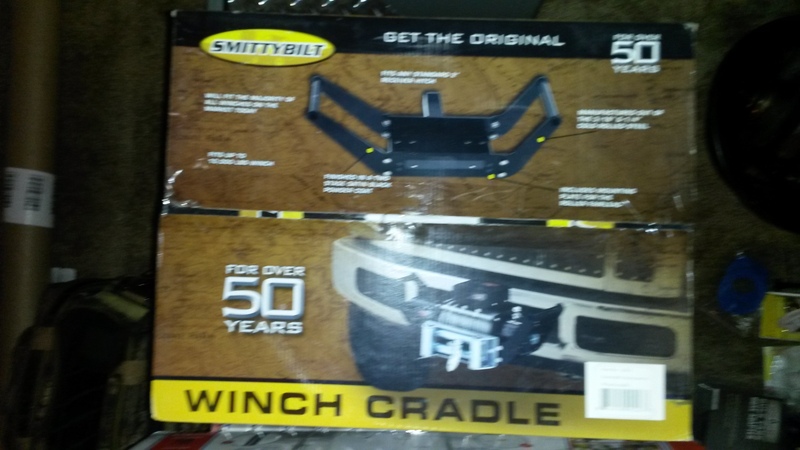 What is a good quality winch that is reliable and what size do I need? Well the second one was pretty easy to find. The answer is 1.5 times your vehicle weight. Before you start looking at the sticker on your door. Start to think how much OEM stuff did I remove and more importantly how much aftermarket stuff have I added. Like steel bumpers, skid plates, roof rack. All this stuff adds up. Not to mention what do you normally carry in the back of your vehicle? tools, shackles, extra spare tire, water, extra fuel, ect. The list goes on and on. Next what is a good brand of winches. Well this one is harder to find. You can start asking around. Pretty much everyone will through out the company Warn right away. Now be careful with this information. They are a great company but they did recently add a lower end model. So when these people talk about 5-25 years ago they are talking about the higher end models Warn offers. I will never fault anyone who get a high end Warn. Now you start looking for different comparisons. Well it pretty easy to find the manufacturing specs of all the winches. They give them to you. Warn, Mile Marker, Engo, Superwinch, Smittybilt, Rugged Ridge, Bulldog, T-max. Well these are nice but are the numbers padded are they coservative. How do you compare a winches that have very similar specs and can range from $300 all the way up to $1,500. Something has to be different about each one besides the names. Well when you start looking for reviews. Everyone points you to one magazine article from July 1st, 2011. Called “Massive Multi-Winch Shoot Out”. The reason for this. This is the only decent comparison that has ever been done and documented with a verity of winches. Then you read the article. They give the nod to Warn. But it failed you say. Some say it was due to the sponsorship. Others who are Warn fans will say it is the only company worth anything out there. I don’t know about you but when you read that article it seems like there was one winch that performed pretty damn good and only had one minor issue. 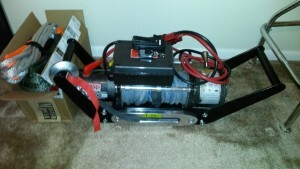 To me that was the Engo winch. They did give it the best value of the group. Which to me goes a long ways. To me this means for the money they recommend it unless your a competition style buggy. 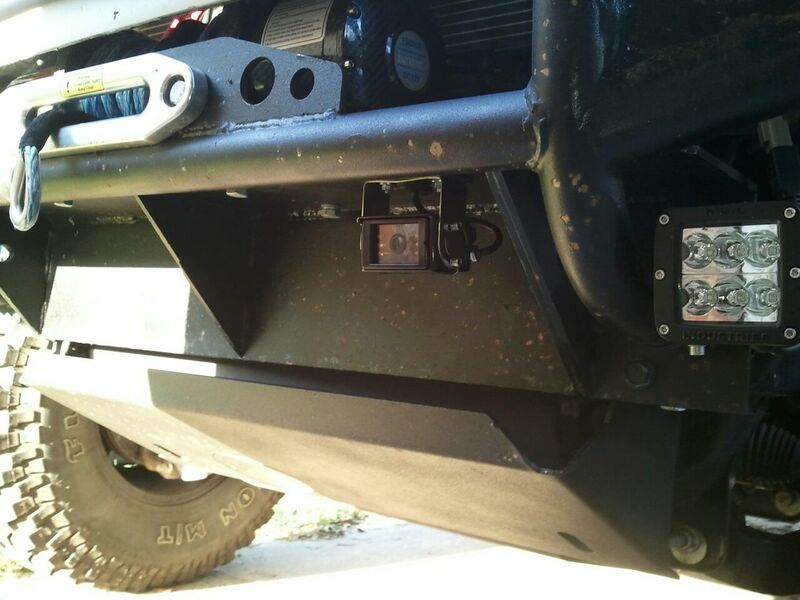 Some issues you may want to know about Engo winches. There have been people who have submerged them and had issues afterwords. There is an easy fix for this. You just remove the motor and put silicone around the connection then bolt it back on. Instant water proofing. Some people had issues with the old school solenoid they were using. Well since Dec 2014, Engo now has a solid state solenoid instead of the old school style. I was happy to find out about this when I bought my 2nd one. Why they don’t advertise this who knows. I installed my first Engo on my vehicle about three and a half years ago. I have used it several times. Never really have pushed it hard. More light pulls then anything. I have yet to have an issue with it. It has always been there for me. 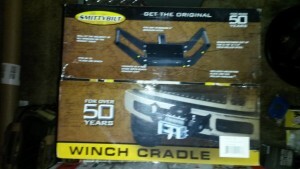 When it comes to a winch and my opinion you want one that is reliable. This is typically not a peace of equipment you use all the time but when you do need it. It better work or you might be royally fucked. 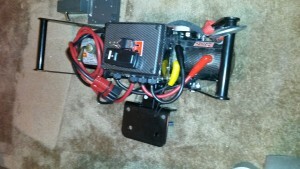 Or slightly better the other vehicle in your group might be fucked if you have the only winch. 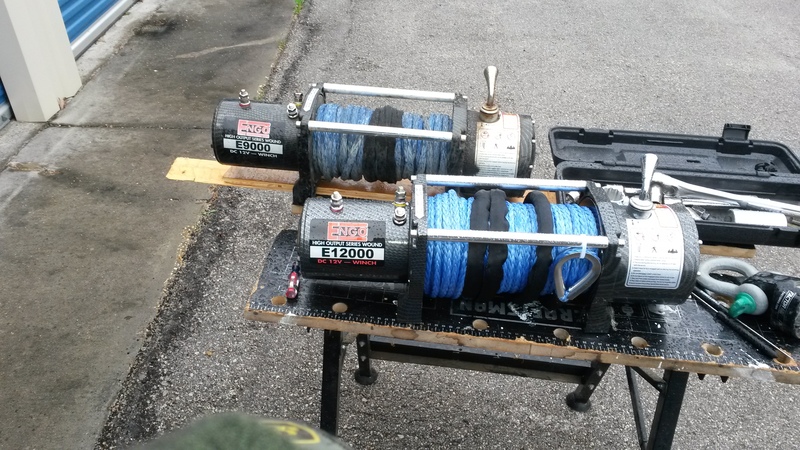 Winches can be used for a million different things. The most common though is to get someone unstuck. If this is high center or just plain buried in mud. Other uses can be from removing road debris to flipping a vehicle back over that rolled. They are also very commonly used to help assist it making it over an obstacle or up a hill you just can’t quit get up and over. 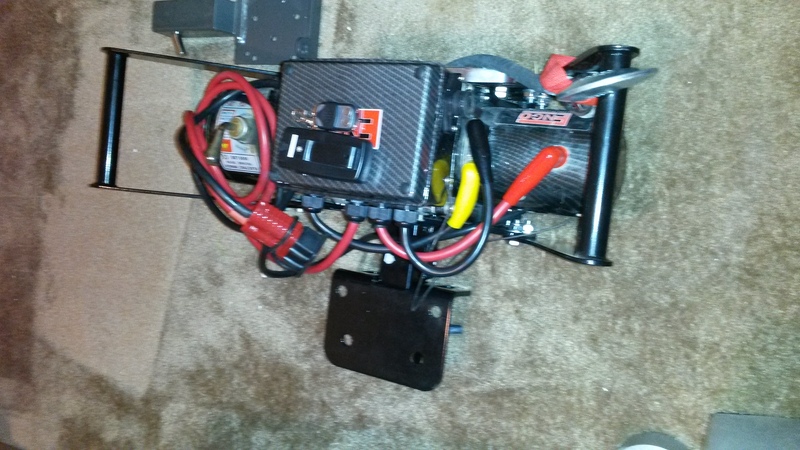 Now I have to say that an Engo winch is a little nosier then some but in reality not that bad. Also it is not the fastest winch out there but also not the slowest it falls in the middle category for these two topics. Put it this way. I liked my first Engo so much when I wanted to upgrade from a 9k to a 12k. I just bought another one. I did not even look at other brands. So now I have a nice brand new 12k with synthetic line on the front of my vehicle and the 9k on a 2″ receiver mount for the rear of my vehicle or trailer. You can compare the old one and new one side by side in the picture below And the picture is kind of an optical illusion the 12k drum and motor is bigger then the 9k the rest of the winch is the same size.